Ahhhhh! I feel like it's customary to open a yearly favorites post with some exposition on how I can't believe that the year has passed already - but as true as that is on its face, I feel like 2017 was a year that was really, really full and passed quickly, but... not as much as some others. Anyway! It was a unique year for makeup for me in that I found myself less excited about new releases than I've been in the past and I did a lot of rediscovery of oldies but goodies and also worshipped my solid favorites quite a bit. I decided to do this year in a Top 5 format, choosing only what I really solidly loved this year and really being hard on my collection to choose my favorites. Because it seemed like the obvious place to start, I decided to open with my favorite complexion products, so keep reading to see what made the cut! 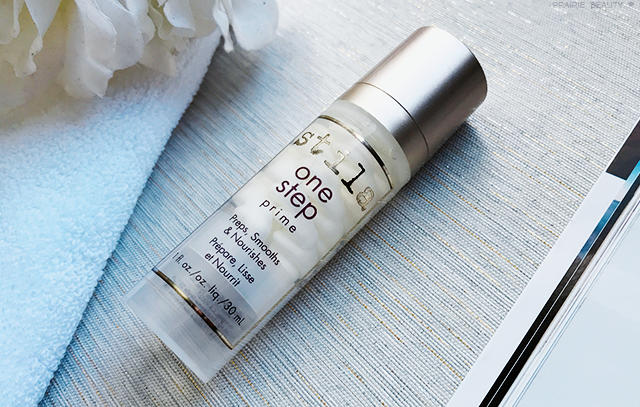 I feel like the fact that a primer made my person Top 5 at all pretty much cements the fact that the Stila One Step Prime really blew me away this year. I'm not much of a primer person generally, but this one has just absolutely been getting it done for me. It does a beautiful job of both prepping my skin for makeup and also keeping it looking healthy and fresh for the course of the day. For me, someone whose skin behaves best when it's really nourished, this was basically my dream product. I specifically prefer this to use with foundations that have a more matte finish, because it keeps any dry patches or texture from showing through and takes away a little bit of the flatness of the finish. Honestly, you guys, I can't say enough good things about this and I have a feeling this is going to be a favorite far into the future. 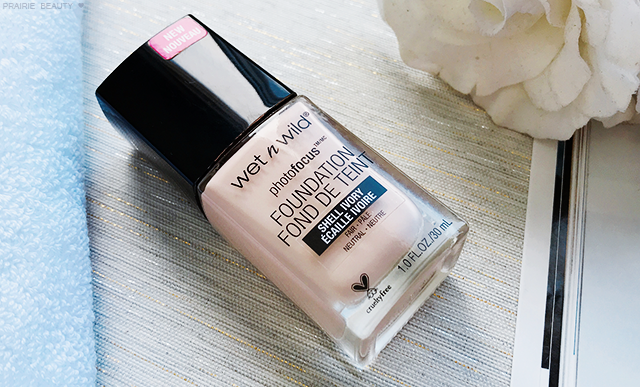 I can't quite remember when the Wet N Wild PhotoFocus Foundation was initially released, but I can definitely remember the hype. It took me a little bit longer to get my hands on it - curse of the slow new releases of Wet N Wild Products here in Canada - but I definitely fell right into the lovefest for it as soon as I tried it. I love both the texture and the finish of this product, because it just makes my skin look really, really good and I really love how it wears. 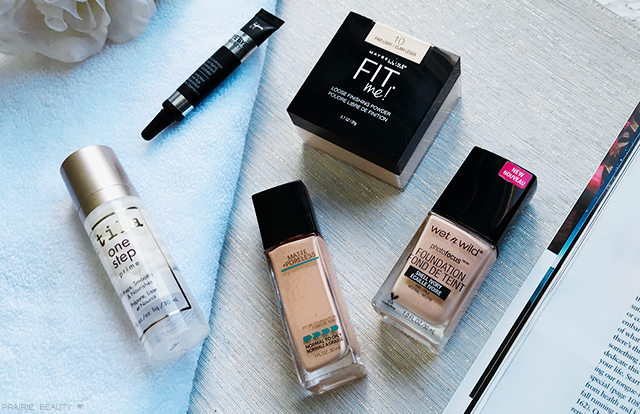 Honestly, if you're a fan of drugstore products, you definitely have to try out this foundation. It's just... GOOD. I could do without the paint smell and would be really happy if this had a pump, but the product performs well enough that those things feel like really small nitpicks for me. I feel like there are very few products in my collection that I immediately re-up on as soon as I use them up - or even before they're used up - but I honestly couldn't tell you how many bottles of Maybelline FIT Me Matte + Poreless foundation I've used up. This one is just solid for me. The coverage is perfect for every day, it wears really beautifully with a sort of natural matte finish that doesn't emphasize texture or dryness on my skin. I honestly think this is actually the only matte foundation that I can personally use during the colder months when my skin leans towards dry, because it just always looks gorgeous on the skin. 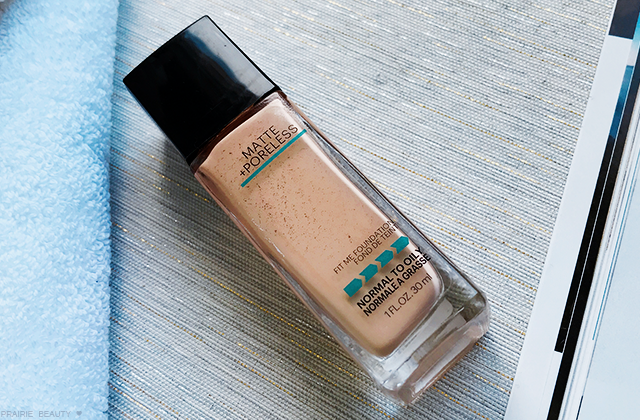 Just can't say enough good things about this foundation and highly recommend trying it out if it sounds like something you'd be into - on the slim chance that you haven't already tried it out. 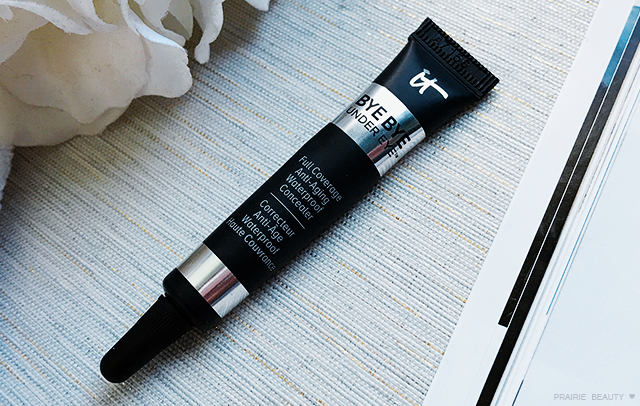 The It Cosmetics Bye Bye Undereye Concealer is actually a rediscovery for me this year. I've actually had it in my collection for ages and I always liked it, but it wasn't until this year that I pulled it out again and really fell in love. Here's why... This concealer is THICK and very, very EMOLLIENT and the way that it applies, covers, and wears under my eyes is just a dream. I think I've gotten a little drier under there, so using something like this that really packs that punch of moisture while giving really good coverage just works beautifully. Oddly enough, I really love pairing this with a lighter coverage foundation because this gives me the coverage that I want when I use something with a more sheer finish on the rest of my face, but somehow doesn't look strange or like too much. I suspect that this isn't for everyone, but for the people who will love it I think it'll easily become holy grail status. 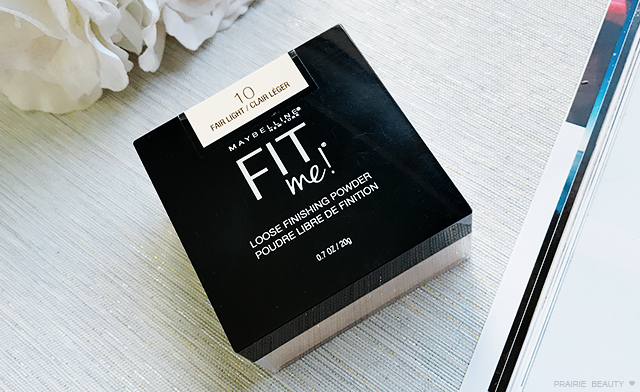 I'd have to say that the Maybelline FIT Me Loose Finishing Powder probably shouldn't have surprised me, since it's an addition to a line that has never failed me, but it really was the biggest surprise of the year for me. Until now, I really feel like the drugstore couldn't hold a candle to high end in the loose powder category, but this one just really raised the bar and brought something that has me reaching for this over other much more expensive loose powders. It bakes really beautifully under the eyes so I don't end up looking like a cakey mess of creasing and gives a really nice, natural finish when I dust it all over my face at the end of my routine. I honestly don't think I've reached for another loose powder since I got this. I have to say that the drugstore really had my heart when it came to most complexion products this year, as it tends to, if we're being honest. Considering these are the things that I tend to use up more often, I love that I have some seriously affordable favorites in this category. That being said, there is just nothing in the drugstore that, for me, holds a candle to the Stila primer and the It Cosmetics concealer. They're just both in a league of their own for me. All five of these products get two thumbs up and a huge recommendation from me with, of course, the caveat of your preferences and needs matching my own. They're just solidly good. Are any of these favorites of yours? I'd love to hear about your complexion favorites in the comments! Thanks for reading! 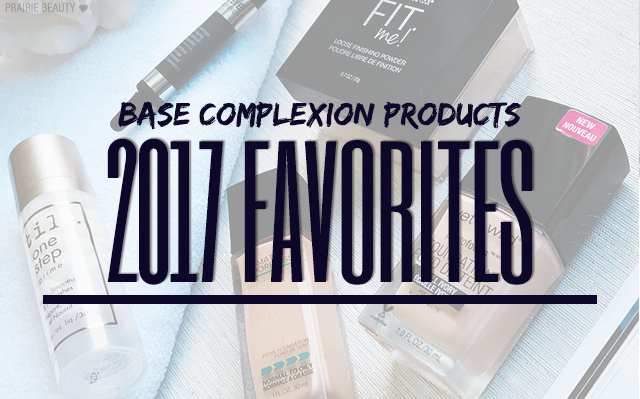 Keep an eye out for more 2017 Favorites to come!